SIX NATIONS — The arena that stands at the heart of Ohsweken was originally named the Six Nations Sports and Cultural Memorial Centre with a name change in 2001 to the Gaylord Powless Arena and renovations in 2005. 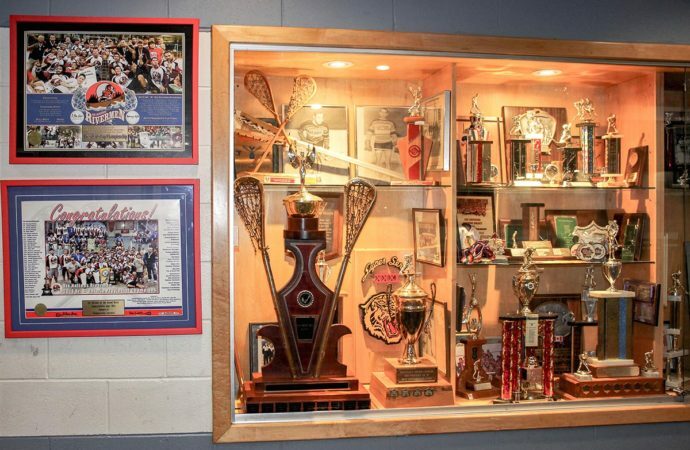 Within the lobby of the arena sits trophies and plaques, medals and mementos of athletic achievement earned by the young and mature athletes of Six Nations, whom the arena was constructed for. The construction of the arena began in 1972 with the erection of the steel base in August and opening of the building on May 24 of 1973. The arena committee was a generation of community members living as the generation of the 1960’s and 1970’s, and the arena was built off of an accumulation of ticket sales, fundraising and a monetary grant from the Minister of Indian Affairs. The seating capacity of the arena includes 648 seats and room for 200 individuals to stand; with year-round sports accommodations for seasonal sports such as lacrosse, hockey and figure skating. Notable achievements of the arena including hosting the Little NHL Hockey Tournament in 1985, the All Nations Lacrosse Tournament in 1999, the Legends Cup Lacrosse Tournament since 2002, and the Six Nations Midget Hockey Team exhibition game versus Sweden in 2003. The arena is also home to 2015 Senior ‘B’ Champions of the Presidents Cup, the Six Nations Rivermen. It is also home to the Six Nations Minor Lacrosse League and Six Nations Minor Hockey Association, of which over 200 young athletes participate at the provincial level yearly.